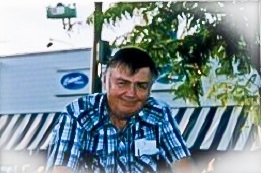 My father, Ed Gilligan, was a frequent visitor to your page, has met friends through your site, and has a page of photos. Sadly, he passed away Friday and we wanted you to know. His obituary, published at http://www.legacy.com/obituaries/nwherald/obituary.aspx?pid=174090603, is also reprinted below. There are many, many links still to threads that he either started or participated in. He generated a lot of fun here on castlebar.ie for well over 10 years. Is Ed Gilligan a legend? - from 2003 the contributor posted '....if there is one person who is always look forward to hearing from, It is Ed Gilligan. He really is a great character. His broad knowledge of pretty much everything, his wonderful dry humour, and his great quotes he really does make this Bulletin board a cut above the rest. Long live the great Ed Gilligan'. Here's a search link to what are literally thousands of posts that Ed initiated or contributed to - they give a great picture of a wonderful guy! Edward F. Gilligan Sr., age 77, of Harvard passed away on February 6, 2015, in Park Ridge, Illinois. He was born on November 14, 1937, in Chicago, the son of Edward F. and Anna Mae (Malloy) Gilligan. On April 4, 1970, he married the late Ellen D. Anderson in Chicago. Mr. Gilligan served in the Army Corps of Engineers for 10 years, and was a graduate of Coyne Electric School. He was a union electrician with the IBEW #117 for over 40 years. During his years as an electrician he worked on the Byron Nuclear Plant, Motorola in Harvard, and the Huntley Outlet Mall. He also used his skill helping others through PADS, and many Catholic Churches in McHenry County and Necedah, WI. Edward was also a Century 21 Real Estate salesperson, a Ham Radio Operator KB9FIL, and was a 4th Degree Knight of Columbus. He gave much support to the local Food Pantry, PADS, and the church. Edward loved to travel to Ireland to visit family. He took many road trips across the United States, and traveled to the Carribean. He loved spending time with his family. After retirement, he maintained his farm in Harvard where he enjoyed raising animals. He also spent time with his union friends enjoying breakfasts out. He enjoyed working on cars; and led a very active life volunteering for many years. He is survived by his children, Edward F. (LeeAnn) Gilligan III, Mary Gilligan, MaryAnn (Domingo) Parada, and Michael P. (Erin) Gilligan. Also surviving are his grandchildren, Darrin Jacob, Grace Marie, and Prestan Quinn Gilligan. He leaves his sisters, Josephine Ostrowski and Rosalie Gilligan; and many nieces and nephews. He was preceded in death by his parents, his wife, and a brother-in-law, Ray Ostrowski Sr. The visitation will take place on Wednesday, February 11, 2015, from 4:00p.m. until 8:00p.m. at Colonial Funeral Home and Crematory, 591 Ridgeview Dr., McHenry. The visitation will continue Thursday at St. Patrick's Church 15012 St. Patrick Rd. Hartland IL from 10:00a.m. until the Funeral Mass at 11:00a.m. The burial will follow in the church cemetery. Islandeady Gathering 2013…Spread the Word! So Long For Now and Thank You !